"How beautiful upon the mountains are the feet of him who brings good tidings, who publishes peace, who brings good tidings of good, who publishes salvation, who says to Zion, 'Your God reigns.'" A pilgrim making his way to Canterbury on foot (the way that Chaucer's pilgrims did) from London or Winchester or anywhere in Britain, would have a hard time finding a place to spend a night. In the 1530s, as part of his program of opposition to Rome, King Henry the VIIIth ordered the dissolution of more than 800 monastic communities, many of which would have provided shelter for pilgrims. Henry was interested in consolidating power and acquiring wealth - both of which the monks often held in good supply. And one way he ensured that monastic communities would not spring back up after his henchmen had seized their riches and dissipated their power, was to have them take one last thing: the lead sheets that formed the roofs of their buildings. This last theft benefited the king in two ways: it gave him a ready supply of a valuable (if heavy) commodity, and it ensured that the monastic buildings wouldn't last too long, since a building without a roof is neither useful nor likely stay standing. Yes, a roof is an important thing. A pilgrim traveling, even today, in Spain knows this, since many ancient monastic communities there still provide lodging for pilgrims on their way to Santiago de Compostela. On the pilgrim's way in Spain you will come across towns that attest to their ancient monastic roots with the word "hospital" in their names, like Hospital de Orbigo. Now, I know you thought you knew what a hospital was. But if you are snooty enough to look up your words in the Oxford English Dictionary (and you know that I am snooty enough to do so), you may be surprised to learn, as I was, that the very first definition of "hospital" is this: a "house… for the reception and entertainment of pilgrims, travelers, and strangers." I can assure you that there is at least one more sermon in that definition than the one you are getting tonight. But for the moment, I hope you will stay with me on my meandering musings about pilgrims, hospitals and roofs. Just yesterday I was in a local hospital where I had a good look at my left foot which has been encased in fiberglass for the past five weeks and is now wrapped up in Velcro. And I can tell you, having thought a lot about that foot, and having walked to Santiago, that pilgrims are feet people. They think about their feet a lot. They think carefully about the shoes they are going to put on their feet for the journey. They think about resting their feet when they are weary. They think about caring for their feet when they are blistered or sore. They think about what they are going to do if their feet give out. They think about applying tape and moleskin to their feet. They look for someone to massage their feet or to lance the blisters that they cannot easily reach themselves. They worry about keeping their feet dry and warm and clean. Pilgrims are feet people! You walk for 500 miles and you will become a foot person too! And while a pilgrim is grateful every single night to have a roof over her head, while pilgrims have benefited for centuries from the hospitals that have provided them shelter, pilgrims are not roof people. They will never be more distracted, more preoccupied, more obsessed with the care and maintenance of the roof over their heads - or the lack thereof - than they will be with the care and maintenance of their feet. Tonight as we gather here to celebrate the Feast of our patron, Saint Mark, one thing we might do is to reflect on what it means to be in a community that has identified itself with the name of an evangelist: one who brings good news. … you might begin to think that we are going to have to become roof people: fixated on caring for that slate, upgrading that copper flashing, cleaning out those gutters. You might have heard about the price tag. And you might be guessing, rightly, that it is only likely to go up. And you might be starting to get the idea that life at Saint Mark's is going to be all about the roof for the next little while, or all about the stone, or the plaster, or whatever. It would not be unreasonable to begin to conclude that we will have to be roof people. But how will people ever hear about good tidings, how will people ever hear about peace, how will people ever hear about salvation, how will people ever hear about the God who reigns in Zion, if we, his people, are all about the roof? We have got to be feet people! We have got to be beautiful-feet-people! And perhaps this is what it means to be a part of a community that has identified itself with the name of an evangelist, of one who brings good news, as Mark did - the first of the four evangelists to write the story of Jesus. Perhaps it means that we have got be obsessed with feet. We have got to care passionately about where our feet carry us and what the do when they get us there. We have got to use our feet to bring good tidings to people who have heard precious little good news. We have to use our feet to bring prayers and comfort and healing to those who are sick. We have to use our feet to bring consolation and care to the dying and to those who grieve. We have to use our feet to bring food to the poor and the hungry. We have to use our feet to visit those who languish in prison. We have to use our feet to help teach kids who this city's schools will fail. We have to use our feet to bring freedom to the oppressed. We have to use our feet to bring justice to those from whom it has been denied. We have to use our feet to bring to hope to those who thought they had none. We have to use our feet to bring light to those who live in darkness. We have to use our feet to bring the story of salvation who have never heard anything but a story that left them damned. You know that if we use our feet like this, we are going to have some tired, blistered, worn out, nasty feet! But they will be beautiful! How beautiful upon the mountains are the feet of him who brings good tidings… who says to Zion, "Your God reigns!" My brothers and sisters, we have got a roof to fix, it's true. But we are not roof people! 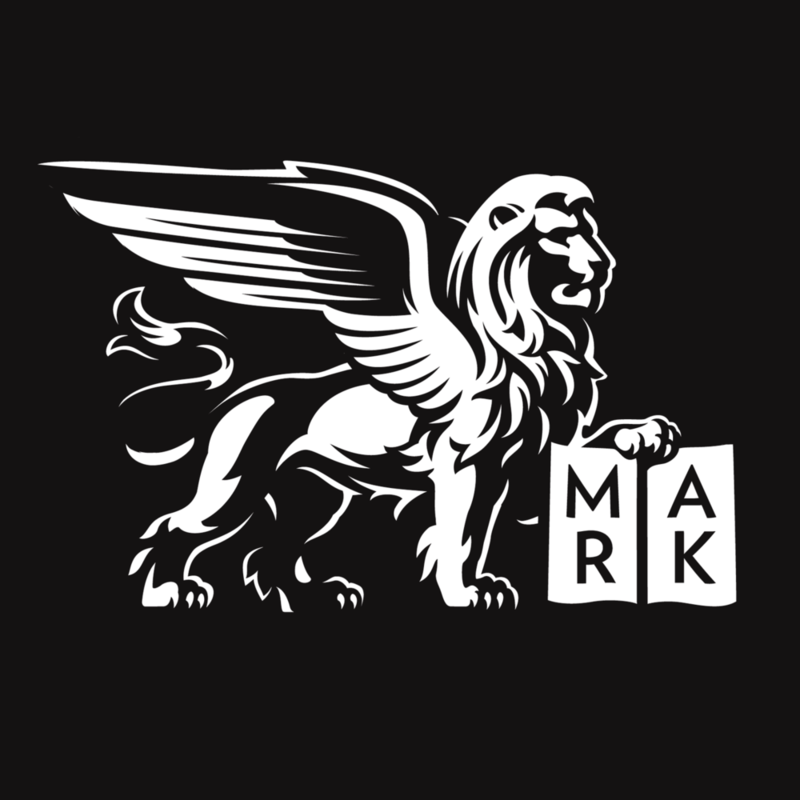 Our lives have been linked by the name of Saint Mark to a bringer-of-good-news, whose beautiful feet have led countless souls to hear the Word of salvation. And like his legacy, the only legacy worth leaving in this world is the legacy of beautiful-feet-people who publish peace and salvation and who dare to proclaim to the world: Your God reigns! Yes, we have a roof to fix, and we will fix it. But by God's grace we are not and never will be roof people - though we will always care that there is a roof on this place. We will fix that roof precisely because we are beautiful-feet-people who care yet more deeply for every pilgrim whose feet carry them here than we could ever care about a roof! And we pray that every time we leave this place, we do so with beautiful feet, bringing good tidings of peace and salvation, of hope and light and love, and whose feet proclaim with every step we take, even if our voices should fail to say it to the world: Your God reigns! Posted on April 29, 2007 by Sean Mullen and filed under Rev. Sean Mullen.